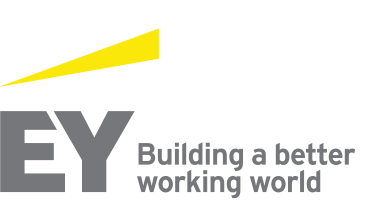 The latest research by EY on the ETF industry shows the industry is confident that double-digit growth will continue. Lisa Kealy, who leads the Wealth and Asset Management practice at EY Financial Services Ireland, outlines the key findings. The findings from the EY’s Global ETF Research 2018 show that more than half (56%) of the respondents interviewed expect the growth rate of the ETF industry to be between 11% and 20% over the next 3 to 5 years. Nearly a quarter (22% of respondents) expect a growth rate of more than 20% compared to just 10% of respondents in 2017. More than half (57%) of asset managers indicate the success ratio of new launches will improve in the future. This is up from 36% in 2016 and 45% in 2017. While investors continue to flock to the ETF industry, the growth of the industry has entered a new phase – one that is marked by continued growth, but also one that is perceived as the right time to pursue process improvements, product innovations and new markets in an attempt to build differentiated market positions as more and new potential competitors are expected to flood the ETF market. China – the game changer? The Chinese market represents a substantial market for the sector in Europe – given its size and Asian investors’ demand. 97% of respondents believe the sales opportunities in China for ETFs will be $100bn or more, once ETF Connect (a cross-border scheme that would give Chinese investors exposure to overseas assets through ETFs listed in Hong Kong) is operational within five years compared to 66% of respondents who believe it will reach $100bn or more within three years. The market, however, has some key issues to address to be able to fully harness this large opportunity. Only around one third (30%) are currently ready or on track to use the ETF Connect once operational. In addition, 68% feel the industry is not doing enough to support the ETF Connect project in terms of addressing operational issues. Regulatory requirements and emerging technologies are the primary drivers to change in their operating model – a view echoed by more than 66% of respondents. Cost is now seen as a performance metric, so technology and operating model changes are planned to help create a competitive advantage. More than two-thirds (83%) of asset managers have told us they are looking to use new technologies to reduce cost. So there will be significant shift in the operating model. The industry will continue its focus on improving distribution and enhance its processes as result. The way data is managed will to a great extent determine the success of distribution strategies. The most popular approach to improving distribution is (67%) enhancing the product data on their website followed by (62%) selling through online platforms. When asked about the entry of new players, a strong majority (92%) feel more promoters will enter the market over the next two years. More than 60% believe asset management arms of large banks and/or active managers will enter the market. Slightly more than half (51%) indicate small niche players and/or new start-ups will enter the market. The fundamentals are stacked in favour of the sector. Given the prevailing uncertainty and pressures on margins, the optimism is proof of the sector’s resilience. The industry, however, will need to recalibrate on many fronts to sustain momentum, translate technology benefits to increased client experience, adapt to regulatory changes and keep up with emerging opportunities. Being complacent will be very dangerous. In September and October 2018, the EY ETF team conducted in-person interviews across 12 of the largest ETF promoters and service providers. Additional survey quantitative responses were gathered from 69 participants representing ETF players with approximately 85% of ETF market share. This pool of data was analysed together with independent industry data to identify the key issues that ETF promoters face now – from new competition, to developing their product range, targeting new markets and dealing with increased regulatory interest.